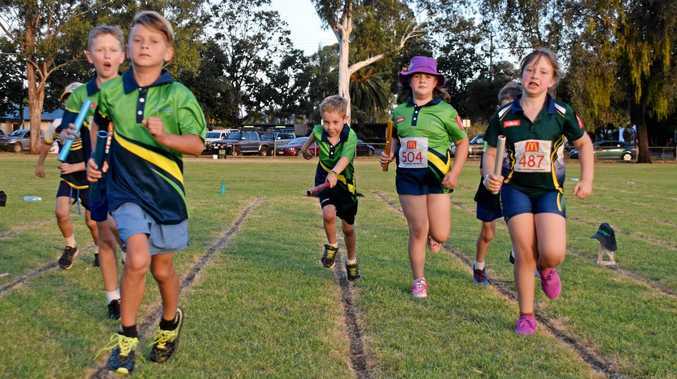 LITTLE ATHLETICS: Aspiring athletes from the region will get their first taste of racing this weekend. South Burnett Little Athletics Centre will be well represented at the Sunshine Coast regional relays at Noosa on Saturday. It is the biggest carnival on the calendar for the South Burnett club. Kaylene Kapernick from the club said it provided an opportunity for children to start competing alongside their friends. "It is a fun way for the kids to get involved in the competition side of Little Athletics because they do it as a team,” she said. "It is good to get the ones that aren't sure. Nicole Gunston will return to the relay event for the third time. "I like that there are a lot of people to race and I can't help but be a little bit competitive,” she said. As an under-11 athlete she will compete in shot put, discus, long jump, 4x100m and the Swedish medley. "My favourite event is 200m because some people can't run it as well as the 100m, but I can run that one better than the 100m,” she said. A new event has been introduced to challenge the athletes this year - the Swedish relay. The event is made up of 100m, 300m, 200m and 400m distances. For track events, each team has to comprise of four athletes but a field team can be made up of two or more athletes. The best two results from each team are added together and that becomes their mark to be ranked against their competitors. As a small club, the South Burnett athletes can join with athletes from other clubs to become a multi-centre team and have the opportunity to compete.